Going Green... all the way! THE FIRST REFILLABLE SOY CANDLES. EVERY TIME YOU BUY A JAR CANDLE? NO MORE CUPBOARDS FILLED WITH EMPTY CANDLE JARS. 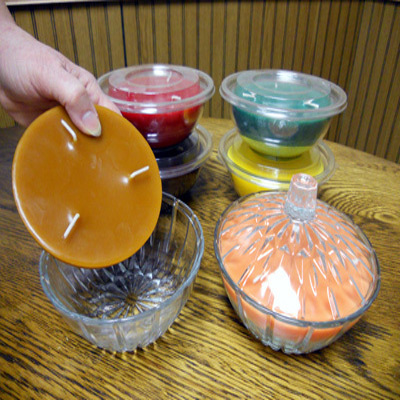 then keep it going with our form fitting candle inserts. All TRIPLE SCENTED with your favorite fragrances. The Natural Soy Blend Candle by Country Heart Candles.